The Centre for Program Evaluation (CPE) is a transdisciplinary evaluation and research centre that undertakes evaluations and research projects in the areas of education, health, social wellbeing and international community development. If you would like to enquire about any of our services, please contact us at cpe-enquiries@unimelb.edu.au. The Centre for Program Evaluation is home to a range of education experts and also works with PhD candidates fostering world class research. 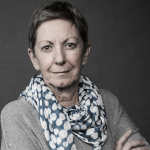 Professor Janet Clinton is Director of the Centre for Program Evaluation and Director of the International Teacher Education Effectiveness Research Hub, at the Melbourne Graduate School of Education. She has wide national and international experience as an evaluator, psychologist, and educator, and has an extensive publication record. She teaches a number of post-graduate subjects in the discipline of Evaluation - in the areas of quantitative and mixed methodologies. She supervises a number of PhD students in the area of evaluation. Janet has worked in Australia, New Zealand and the USA, and has been a principal investigator on many large complex evaluations and research projects. Recently she was the principal evaluator for the Australian Professional Standards for Teaching, and the Real-time captioning pilot in Victorian Schools. She currently leads the Visible Classroom initiative as well as directs the Teacher Capability Assessment Tool project. Overall, she has led over 100 national and international evaluation projects. Her major interest in program evaluation is the development of evaluation theory and methodologies. However, her evaluation work also focuses on development of teacher evaluation protocols, as well as using evaluation as a vehicle for change management and building capacity through extensive engagement with key stakeholders. Stephanie Watson is the Centre Coordinator at the Centre for Program Evaluation. Steph completed a Bachelor of Education in 2009 and has over 10 years’ experience in administration, personal assistance and office coordination in the Education sector. 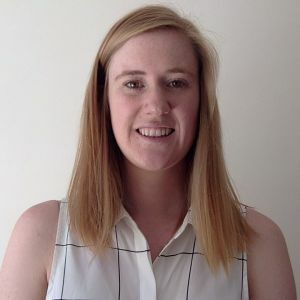 She has worked in independent schools in Melbourne in personal assistant roles and in 2012 joined the Melbourne Graduate School of Education as a Placement Officer for the Master of Teaching. Steph has worked within the CPE since 2015. Lee Kiong Au is the Senior Project Analyst at the Centre for Program Evaluation. He provides project management oversight for the Centre's research and evaluation projects, and administrative support for the Centre's operational processes. 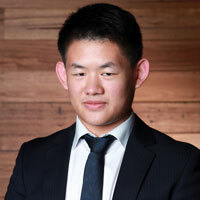 Lee has an Honours Degree in Science, Master of Biotechnology from the University of Melbourne, and is certified as a Project Management Professional (PMP) by the Project Management Institute. He has worked at the University of Melbourne since 2012, and the Centre for Program Evaluation since 2014. He is currently pursuing a PhD investigating Implementation in Education. Dr Amy Gullickson is a Senior Lecturer at the Centre for Program Evaluation. 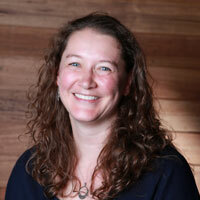 Amy teaches, advises research students and works on various evaluation projects. Over the last fifteen years, she has worked on evaluation and research projects in a variety of contexts, including academia, health care, education, business, not for profit, international development, and faith communities. Her primary areas of interest are evaluation education, evaluative synthesis, integrating evaluation in organizations, and the relational aspects of conducting evaluation. She is one of the leaders of the recently launched international research community on evaluation education. Amy earned a Master of Divinity in 2001 from Luther Seminary. She completed her PhD in Interdisciplinary Evaluation from Western Michigan University in 2010, and joined the CPE team in November 2012. 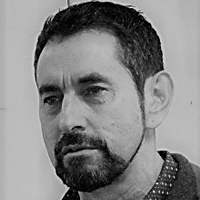 Dr Ghislain Arbour is a Senior Lecturer and the Associate Director, Teaching and Learning in the Centre at Program Evaluation. 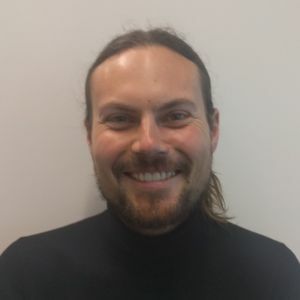 Ghislain has a successful teaching record across a range of subjects and workshops and is currently involved in the development of a fully online version of the Master of Evaluation. He also supervises Master of Research and Doctoral students in the domain of evaluation. 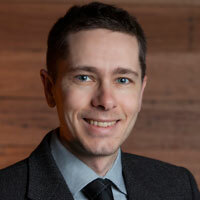 Ghislain holds a PhD in Public Administration from ENAP (National School of Public Administration) in Quebec, Canada, with a specialization in public policy analysis. 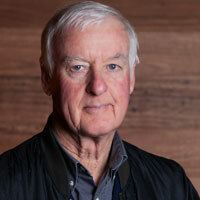 Associate Professor John Owen, a former Director of the Centre for Program Evaluation, is interested in the application of various models and approaches to evaluation and the design of protocols that enable these models to be used effectively in organisations. He has a particular interest in the use of evaluation for accountability purposes. Another feature of John's recent studies has been to work with organisational leadership and management to improve the delivery of innovative programs, using the principle of sustained interactivity. This principle assumes that ongoing cooperation between evaluators and managers increases the use of funded knowledge in decision-making. 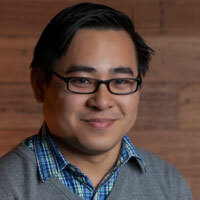 Dr Jon Quach is a Lecturer at the Centre for Program Evaluation and an Honorary Research Fellow in the Community Health Services Research Group at the Murdoch Childrens Research Institute. Jon currently leads and works across a number of projects at CPE, as well as the Centre for Community Child Health at the Royal Children’s Hospital. Jon has eight years of research experience in program management and evaluation of health services provided by hospitals, maternal child health nurses, school-based health services and also community-based healthcare services. 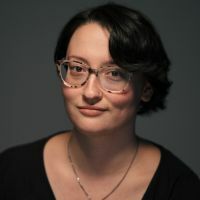 Georgia Dawson is a Research Fellow at the Centre for Program Evaluation and has extensive skills in quantitative data analysis including item response theory, structural equation modelling and path analysis. 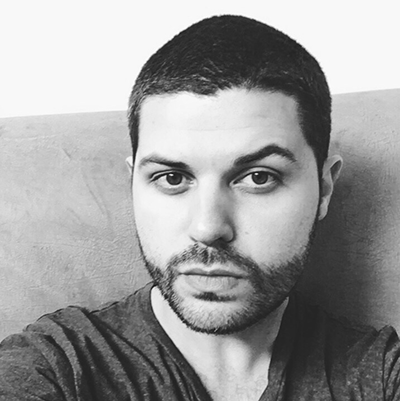 Georgia's research interests include, prediction of performance through cognitive and non-cognitive variables, strategies that improve the classroom functioning of students, the influence of social/emotional factors on learning and the cognitive correlates of reading and reading development. She is currently completing her PhD in Educational Psychology, investigating the utility of mindfulness in improving learning outcomes. 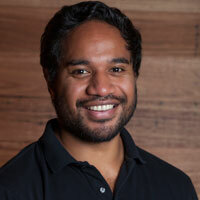 Timoci O'Connor has evaluation and research expertise in the fields of international development, public health and education, particularly in the Pacific region, New Zealand, Australia and Southeast Asia. Tim has over 10 years' experience working with diverse populations and in various settings from community, private, government, NGOs, academia, and philanthropic organisations. Tim also coordinates, lectures and tutors into a range of subjects including Mixed Methods Research & Evaluation, Qualitative Methods for Evaluation, Health Program Evaluation, Developing Evaluation Capacity and Relating Health & Learning. Timoci is pursuing his PhD study exploring the use and feedback of evaluative information through information communication technologies. Anthea Rutter is an Investigator in the Centre for Program Evaluation and has extensive experience working with a wide range of community and national organisations. She is particularly knowledgeable and experienced in social research including education, mental health, police and military, emergency management and social welfare projects. 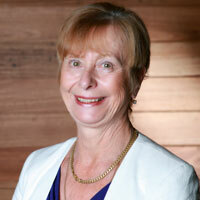 Anthea’s current projects include the development of an evaluation and research toolkit for the Department of Primary Industry, a review of a family services alliance in the western suburbs, and is also completing projects with Victoria Police, where she is involved in the review of curriculum delivery and training capacity. 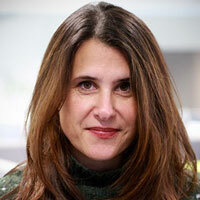 Dr Ruth Aston is a Research Fellow at the Centre for Program Evaluation. Ruth has project managed several large-scale evaluations across Australia and internationally including the evaluation of the Australian Professional Teaching Standards. She has a background in public health, including working on a three-year national project investigating the workforce effectiveness of health promotion workers in New Zealand, and was awarded the Emerging Talent Award in 2014 by the Australasian Evaluation Society for her contribution to evaluation. Ruth has comleted her PhD studies, investigating the ways that social change is achieved in Public Health. Associate Professor Kim Keamy is currently involved in a number of projects in the Centre for Program Evaluation, including the Assessment for Graduate Teaching, Evaluation of the Differentiated Support for School Improvement Initiatives, and the MGSE Atlantic Fellows for Social Equity program. Kim's previous roles include as a primary teacher, initial teacher educator, and Director of Learning & Teaching. His major area of research has been in the field of educational leadership, other research interests include creative pedagogies, arts-informed research methods, the use of online protocols and collegial conversations, and super complexity in higher education institutions. Emily Qing is a Research Fellow at the Centre for Program Evaluation. 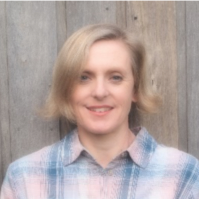 She currently works across a number of the Centre’s research projects in the areas of education and health, including Visible Classroom, the Evaluation of the International Baccalaureate’s Professional Development model, and the Evaluation of the Victorian Health Promotion Foundation’s Youth Engagement Initiatives. Emily holds a Masters Degree in education from the University of Melbourne. Her research interests lie in the area of initial teacher education, pedagogic practice, professional learning, mental health promotion, and learning interventions. Ana Garcia-Melgar is a Research Fellow and Lecturer at the Centre for Program Evaluation. Ana is the Senior Data Analyst and provides support to a breadth of evaluation and research projects in the Centre. She has expertise in conducting mixed-methods and longitudinal research, and has coordinated and delivered research methods courses for postgraduate students and researchers. Ana holds a Bachelor of Psychology, a Master of Education, and is currently completing a PhD in Education. Her thesis investigates social and cognitive processes underpinning effective peer learning to enhance student learning, engagement, and success in higher education. Katina Tan is a Research Fellow at the Centre for Program Evaluation. Having completed her Master of Teaching (Secondary) with the MGSE, she has been working with the Malaysian Ministry of Education piloting public school transformation in a program known as the Trust Schools Programme. 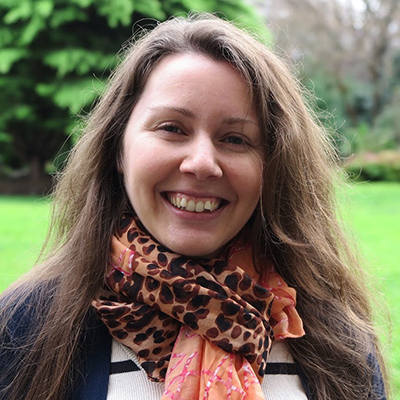 Katina has commenced her PhD studies, and is investigating student engagement and the impact of cultural factors on student achievement in Malaysia. Her other professional experience includes corporate financial management, strategic business planning and business operations support services. She contributes to several CPE projects, including Teacher Capability Assessment Tool (TCAT) and Assessment for Graduate Teaching (AfGT). Hanchao Hou is a Research Assistant at the Centre for Program Evaluation. He has expertise in designing, conducting and evaluating psychology training programs. 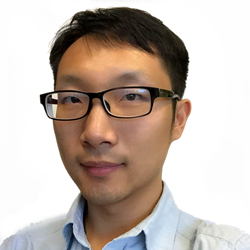 Hanchao has a Master's degree in Psychology from Beijing Normal University, and is currently pursuing his PhD at MGSE, researching the conceptualisation and measurement of wellbeing literacy. Meg Stonnill is a Research Assistant at the Centre for Program Evaluation. She has worked on a number of evaluation and research projects, including the Evaluation of the VicHealth Leading Thinkers Initiative. meg has a Master of Public Health from the University of Melbourne. Oskar Weimar is a Research Assistant at the Centre for Program Evaluation. He has as BA(Hons) from the University of Melbourne and has recently completed a Masters in Sociology at the University of Amsterdam. Katherine is a Research Assistant at the Centre for Program Evaluation. She has completed her Bachelor of Psychology (Honours), and is currently completing a Master of Psychology (Clinical Neuropsychology) at the University of Melbourne. Chabel Khan is a Research Assistant at the CPE. Chabel has previously assisted research of inclusion programs in the not-for-profit sector. Chabel is a PhD candidate (Faculty of Arts) examining the impacts of neoliberal governance on sole-parents. He holds First Class Honours for his B.A. and Master of Social Policy. Julietta is a Research Assistant at the Centre for Program Evaluation. She has just finalised her Bachelor of Science (Majoring in Psychology) also at the University of Melbourne, and plans to pursue a Master's of Environments in 2019. Lanxi Huang is a Research Assistant at the Centre for Program Evaluation. She has completed her Bachelor in Psychology and Master (coursework and research) in Education and is currently completing her PhD at the Centre for Positive Psychology also at the University of Melbourne. Allison is a Research Assistant at the Centre for Program Evaluation with expertise in Monitoring and Evaluation. She has over 20 years experience in industrial research, probate research, and program development. Allison has completed a Master of Evaluation, Graduate Diploma in International Development Practice and Bachelor of Science (Chemistry, Microbiology). Katla Hower is a Research Assistant at the Centre for Program Evaluation. She has completed her Bachelor (Honours) in Linguistics and Applied Linguistics and is currently completing a Master of Creative Writing, Publishing, and Editing. Esther is a Research Assistant at the Centre for Program Evaluation. She has completed a Bachelor of Science and is pursuing a Master of Engineering (Biochemical) at UoM. Esther works on a variety of projects, including TCAT and the Evaluation of the Flexible Literacy for Remote Primary Schools programme. Benjamin Howes is a Research Assistant at the Centre for Program Evaluation. He has completed a Bachelor of Science (Geography) and Master of Teaching (Primary) at the University of Melbourne. His interests lie in exploring key intersections between education and international development across the Asia Pacific region. 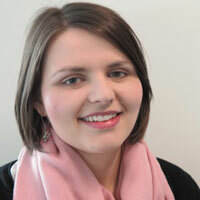 Kylie Trask-Kerr is a Research Assistant at the Centre for Program Evaluation. Kylie has a Master of Education by research, a Graduate Diploma of Education and a Bachelor of Arts from the University of Melbourne. She has fifteen years’ teaching experience in both face-to-face and e-learning environments. Kylie is currently pursuing her PhD at MGSE and her research interests include the philosophy of education, epistemology, critical inquiry and quality of life studies. The Centre for Program Evaluation currently offers the only graduate courses in evaluation in Australasia with a range of training programs in evaluation design, including the Graduate Certificate in Evaluation and the Master of Evaluation. Academic staff at CPE are available to supervise students wishing to pursue a Doctor of Philosophy or Doctor of Education in evaluation studies. Meet the current RHD students. Explore the design and conduct of all evaluation work carried out by CPE, undertaken by a team of highly qualified and experienced research personnel. A new International Teacher Education Effectiveness Research Hub within the Centre for Program Evaluation was launched on 7 July 2015. The Centre for Program Evaluation publishes a wide range of written material including books, book chapters, journal articles, reports and other publications.